Hello and happy Sunday! I don’t normally post on a Sunday these days, but I have finished my Mother’s Day cards so thought I would share 🙂 I have made 4 as I make for my sister to give too. 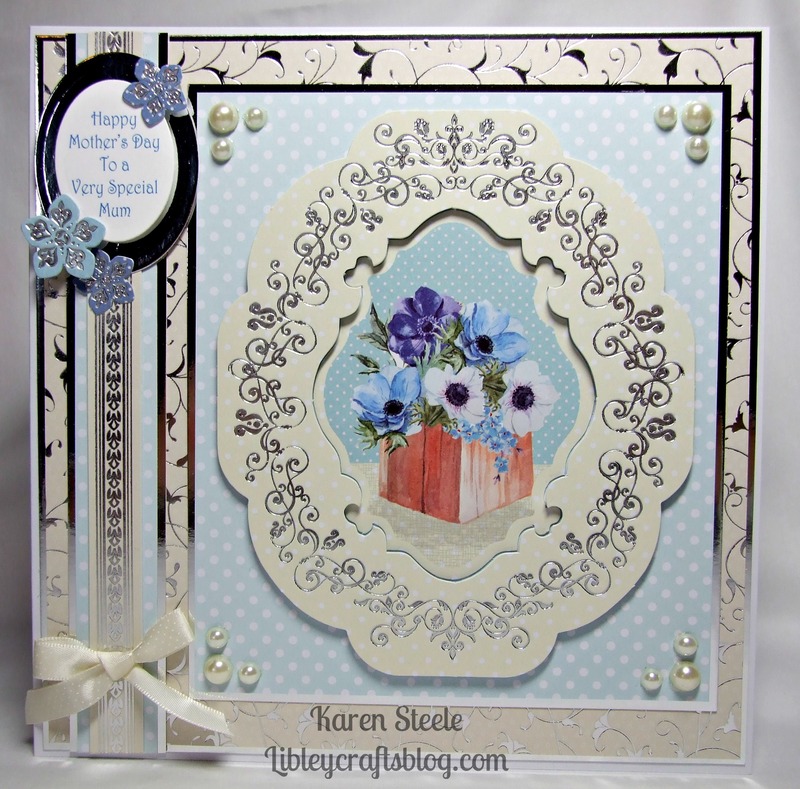 I made these using a beautiful kit from Kanban called ‘Blooming Marvellous’. 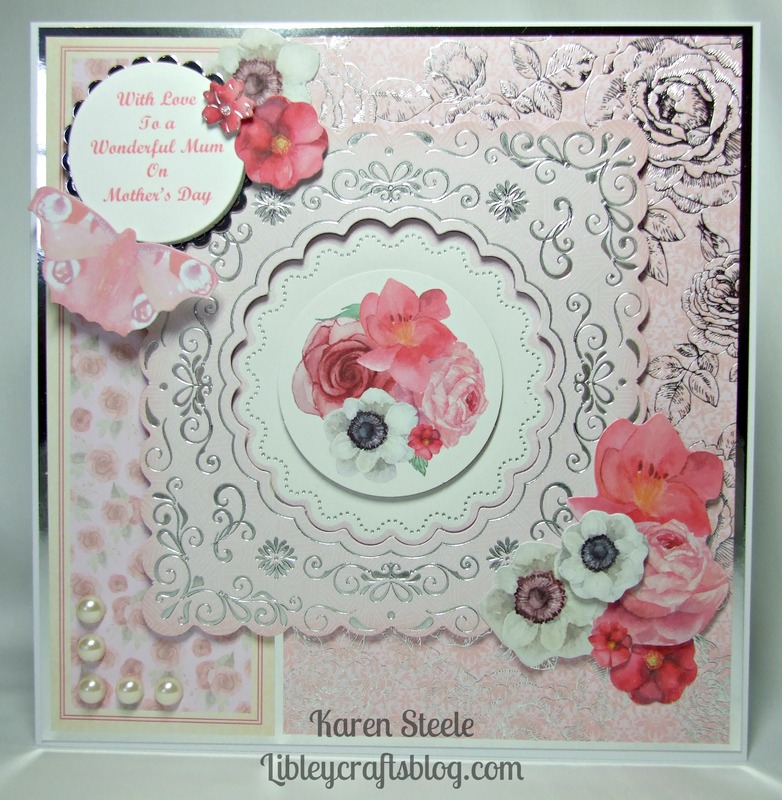 There is so much in this set that I just needed to add some ribbon, pearls, mirror card (lots of it!) and some foam pads to put these together. Also, I used Spellbinders dies for the sentiments which I did on the computer. Karen these are stunning!!! Absolutely beautiful! Love the pretty papers and colors and all the amazing die cuts!!! WOW! These are so pretty! Your mom is going to love them!! I can see framing them in a collection to hang! Karen, these are all so pretty and just beautifully detailed! Love all the intricate foiling frame designs! Wonderful cards! Oh these all look pretty, Karen. Love the feminine feel and the effect of the mirri card, and each image is beautifully framed.